The idea, popularised by Sen. Bernie Sanders, would expand the government-run healthcare program to all Americans. Republicans have attacked the plans, including President Donald Trump. Health policy experts have also identified key issues that any Medicare for All program would need to address. “Medicare for All,” the idea to expand the government-run healthcare program to all Americans, is gaining steam among Democratic politicians and the party’s base. Many candidates are taking on the issue as a central part of their 2018 midterm campaign, and serious contenders for the 2020 Democratic presidential nomination are also backing the idea. Republicans, most notably President Donald Trump, have come out in recent weeks to bash the idea. 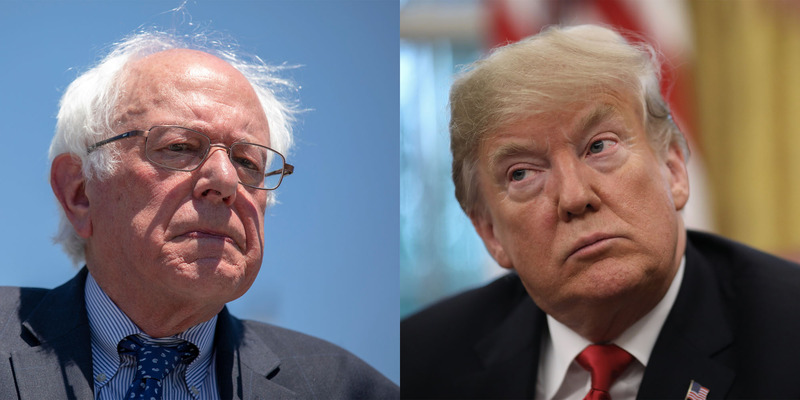 While Trump’s attacks leaned heavily on scare tactics, many conservative health policy analysts have also brought up a series of policy issues that could arise from the implementation of Medicare for All. What opponents are worried about: Sanders’ own estimate totals the cost of his plan at $US1.38 trillion a year, while other studies put it anywhere from $US2.4 trillion to $US2.8 trillion a year. A recent, well-publicised study by the Mercatus Center – a libertarian free-market think tank – put the price tag at $US32.6 trillion over 10 years. What proponents counter: While the price tag for the federal government would rise, the benefits would far outweigh the costs. In particular, Sanders and others point to the Mercatus Center study’s finding that National Health Expenditures – the total that households, businesses, and the government spend on healthcare – would actually be $US2 trillion less than currently projected over the first 10 years after implementation. What opponents say: Sanders’ plan assumes doctors, hospitals, and other providers will accept payment rates as much as 40% below what private insurance pays now. The idea is that since the government plan is the only game in town, healthcare providers will be forced to negotiate lower rates, which would drive down costs for the government. But this could make some providers unprofitable and force some hospitals out of business. What proponents say: Providers will make up some of these lost payments in lower overhead costs, including less paperwork and fewer insurer disputes. Additionally, Medicare’s reimbursements rates are higher than Medicaid’s. And more insured Americans would mean more consumers for hospitals. What opponents say: The large influx of patients into the system and the lowered barrier to care could lead to long wait times and substandard care. Additionally, in many single-payer systems, the government can reject certain treatments as non cost-effective, which could limit options. What proponents say: The US already rations care – people that don’t have coverage often go without it or forego care that their plan may not cover. Additionally, many countries have longer wait times for elective surgery and non-emergency visits, but not for acute care. These countries also have similar health outcomes and much lower costs. What opponents say: The US spends much more on drug development than other countries and part of the promised savings from the plan would come from negotiating lower drug prices. Since the government is the only buyer in the Medicare for All system, pharma companies would have little choice but accept the prices the government is willing to pay. In turn, opponents argue cutting the amount of money the government pays out for the products pharma and medical device companies make could stifle their research and development. What proponents say: Many pharmaceutical and medical device breakthroughs already use public funds and many innovations are still developed outside of the US. Additionally, most pharma companies already spend much more on marketing, which would become less important in a single-payer system.